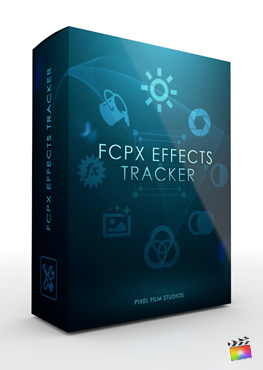 The FCPX Auto-Zoom is a collection of zoom tools created with advanced motion tracking technology. Auto-Zoom gives Final Cut editors the ability to quickly track subjects for stabilization and then zoom into them. Zoom in, zoom out, hold place or pan after zooming into a subject. Each tool comes with 4 animation durations that range from slow (0.5 secs) to fast (2.0 secs). Emphasizing subjects is easier than ever with FCPX Auto-Zoom. 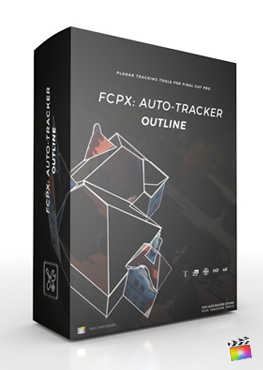 The FCPX Auto-Zoom takes advantage of Pixel Film Studios’ motion tracking tech to track the movement of any subject. 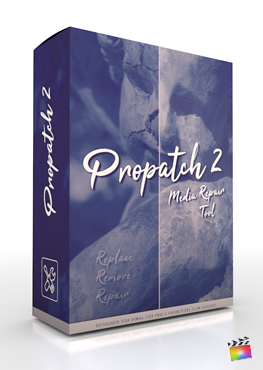 This allows users to bypass the tedious process of keyframing completely. Track forward, track backward and track multiple objects in a single scene. FCPX Auto-Zoom helps users save time editing and increase work flow speed using these amazing tools. After tracking a subject, users can uncheck the Edit Mode checkbox to see the results of the zoom effect in action. FCPX Auto-Zoom will zoom into the subject or zoom out of it depending on the preset. Users can adjust the Zoom Depth slider to accurately alter how close the tool gets to the tracked area. Adjusting the offset sliders allows editors to move the framing point and create non-centered compositions. Using one of the provided Zoom and Hold presets gives users the ability to zoom in and keep the camera framed onto the subject for any amount of time desired. Users can end the shot with the camera held in place or use a Zoom In, Hold and Zoom Out preset to seamlessly set the camera back to its original position. With the provided Zoom In and Pan presets, users can continue to zoom into the subject after the initial burst of animation. Adjust the Dolly Amount slider to control how quickly the tool zooms into the subject. The Speed Method can be changed to alter the animation interpolation of the zoom. This allows users to smoothly or abruptly move from the initial zoom to the continuous panning. This is a tutorial on how to apply FCPX Auto-Zoom to track an area and zoom into it while keeping it in frame. This is a two part tutorial series that first demonstrates how to do a basic track using Pixel Film Studios' tracking technology. The second part of the tutorial shows users how to adjust a track by moving, adding, and deleting points in the case that a track is inaccurate. Is it possible to track something shot in portrait mode? No, the plugin can only track footage shot in HD 1920 x 1080p. 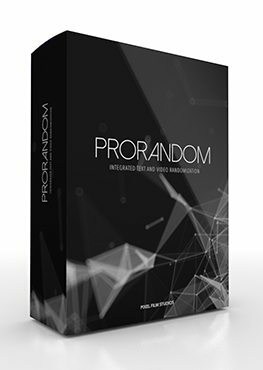 What type of footage is best for this plugin? Subject must be well defined. Subject must have high contrast in relation to surroundings. If there are a lot of brightness or blur changes in the footage, the tracking will not work properly. 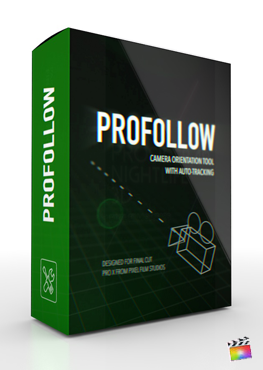 This plugin includes the Pixel Film Studios proprietary motion tracking technology that lets you track and stabilize an object with the video you desire. Why is my footage not being zoomed? The subject you are tracking or using as your stabilizing point must not be blurry and must be clearly defined from the rest of the footage. I adjusted my clip and now the timing of the tracker is off. Adjusting the timing of the clip the effect is applied to will adjust the timing of the track also. In this case, simply delete the effect that was added previously and apply a new one.